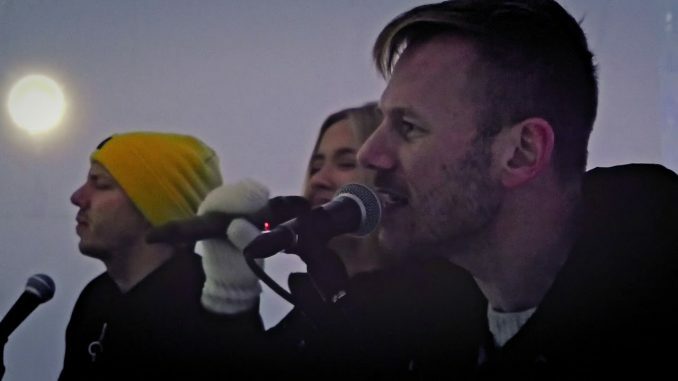 The group KEiiNO is the big favourite to win the MGP 2019 final and represent Norway at the Eurovision Song Contest 2019. Their song ‘Spirit in the sky’ is having the best odds with the bookmakers, followed by Eurovision 2015-artist Mørland and Adrian Jørgensen. 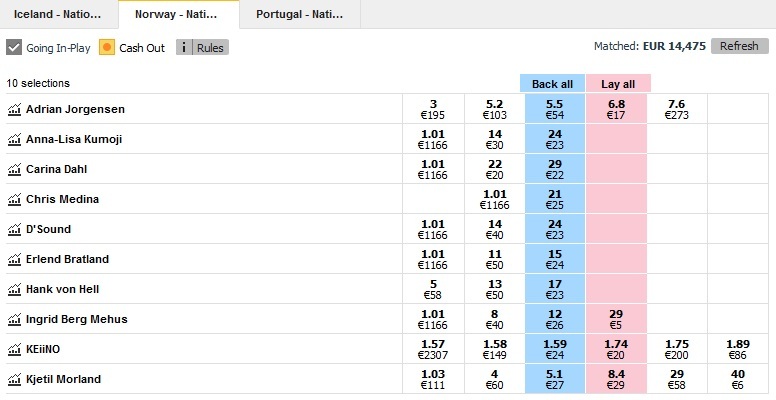 Below you can see the odds, as they were on Betfair on the 28th of February 2019. We will take a closer look at the final of MGP 2019 in our preview below. You can listen to all songs by clicking on the song title. The three main competitors can be seen with some more details below. KEiiNO is the tenth and closing act in Norway, and as stated above, the big favourite. It is a Norwegian-Sami collaboration between Fred Buljo and two MGP 2018 stars: Alexandra Rotan and Tom Hugo. The song has diverse languages, diverse voices, some native elements and a beating vybe to make it a fan-favourite. But will it also translate as such on a live televised performance? Despite a bad ‘draw’, performing as third on the big night, Kjetil Mørland is still the second favourite of MGP 2019. He won the show in 2015, together with Debrah Scarlett, singing ‘A monster like me’. Now he is going solo, with a Norwegian song. We all know what he is capable off, so it makes sense he is among the main candidates to represent Norway in Tel Aviv. Kjetil Mørland forms his own competition, as he teamed up with Aleksander Walmann (ESC 2016) and created the song ‘The Bubble’ for Adrian Jørgensen. Adrian has previously performed at MGP as a backing vocalist, but this is his first time as a solo artist. Broadcaster NRK gave him a very good starting position, performing as 9th out of the 10 acts. Who will win MGP 2019 in Norway? Will it be one of these three, or will someone strike with a surprise victory in Norway? Follow the final of Melodi Grand Prix 2019 live with us this Saturday, March 2nd!